Before one can engage in practices leading to spiritual growth, and the utilization of the spiritual faculties to ensure sucess in life, there must be a thorough understanding of the nature of the spirit. In the same way that physicians must study anatomy as a prerequisite to understanding the healing arts, given the complexity of the physical body, so must initiates first understand the spirit, given its complexity, before they can set about methodically to use the powers of the spirit to influence the outcome of life events. Unlike Sigmund Freud who could only identify two components of the mind/spirit â€“ the Ego and the Id (the alter ego is the assimilation of society's values into the ego), the Kamitic sages identified 11 spheres of influences operating in Man's spirit. 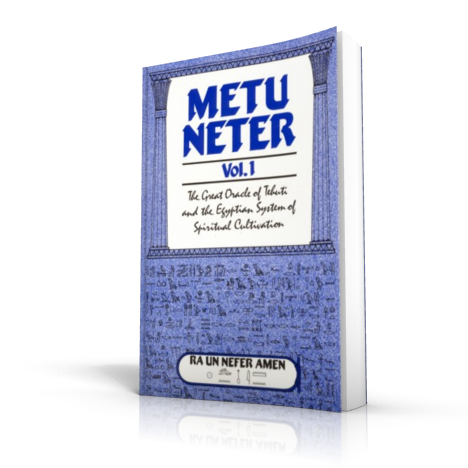 Metu Neter, Volume 1 is the only available text that clearly details the 11 faculties of the spirit, including the words of power (mantras, hekau) for awakening and working with these faculties. 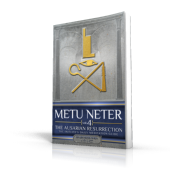 In addition, for readers who want to fully emmerse themselves in the practice of the spiritual tradition of Kamit, this volume is also an exposition of the great Oracle of Kamit â€“ the Word (Metu) of God (Neter). 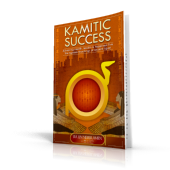 This is the heart of the practical dimension of Kamitic spirituality, which is primarily based on God's establishment of a means (the oracle) through which Man can have a direct two way comunication with God. Through the oracle, we are able to receive objective guidance from God in all areas of life. This is important not only for the sake of enlightenment, but as the chief means of acquiring spiritual power. The spirit of God which is within us, and in which we dwell does not answer to our will, but to the Word (Metu) of God (Neter). 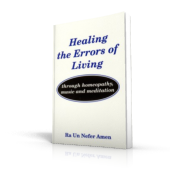 This book works with the Tree of Life Guided Meditation CD series.